The Bankster is yet another piece of fiction from the desk of Ravi Subramanian, the guy who brought to you, The Incredible Banker. 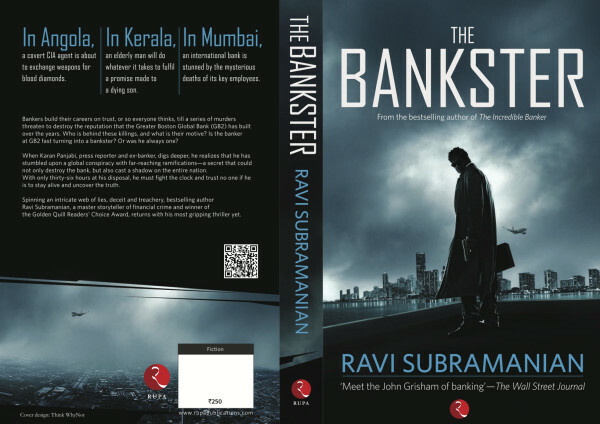 The Bankster is a well spun out web of mystery, suspense and thrill, all set out in a global bank in the jet setting city of Mumbai. The characters are kept real and at most points of time, you get an insight into what it really must be like working in an organization of that nature and stature. At the same time, being a stickler for details, I personally thought the characters could have been fleshed out a little more in order to give depth to the story. The characters which the book mostly deal with are all the employees of a global bank called GB2 and one level of the story stays on the bank. 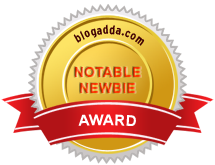 The other layer of the story deals with a man with a cause of nipping a nuclear power plant in India at the root who meets yet another man with more than just propaganda in his mind. While the two tales develop by themselves, its intriguing to see how it all falls into one big scheme in the end (spoiler alert). However, that hardly poses as a hindrance to the very intriguing plot that is laid out by the author with multiple tracks running simultaneously. What is really great about the narrative is how all of those complex little tales spun out by the author start off on a trajectory that finally converge into the climax which is epicentered at the bank. There are no loopholes left gaping in the mystery angle and it all falls into place quite comfortably in the end. The end makes you think it would make for excellent silver screen adaptation especially because the ending is chiseled in a way that all characters meet their fate. The set up of the stories is definitely something that takes a large cue from the reality. It is to be noted that this work of fiction definitely has a large borrowing from the reality of banking scams and NGO funding that we see today. At no point of time (except an instance here or there) does the reader disconnect from the story in terms of the practicality of the characters or their actions. The Bankster scores high for me on two counts: the edge of the seat factor and the great story telling. The edge of the seat factor is well developed in this thriller because the nifty turns in the tale and innocuous mind warping lead you to wonder how exactly will it all tie down in the end. The climax is not exactly Earth shattering and that definitely disappoints. However, it all boils down to a reader's perception of what is being written and in the way it is absorbed. Enter Giveaway! 3 Fashion Accessories to one Lucky Winner.